Miss Global 2018 has become the talk of the town these days as the coronation night is approaching on 11th February 2019 at the Newport Performing Arts Theater, Manila, the Philippines where Forty-seven delegates from all around the world are going to participate and compete for the international crown. The coronation night will witness the crowning of the new queen by the outgoing queen Miss Global 2017 Barbara Vitorelli. With the competition is just a few days away, Angelopedia is picking out its Top 15 favourite contestants for this international pageant where another fortunate name that hits the list is Kamolchanok Dhilokratchatasakul. 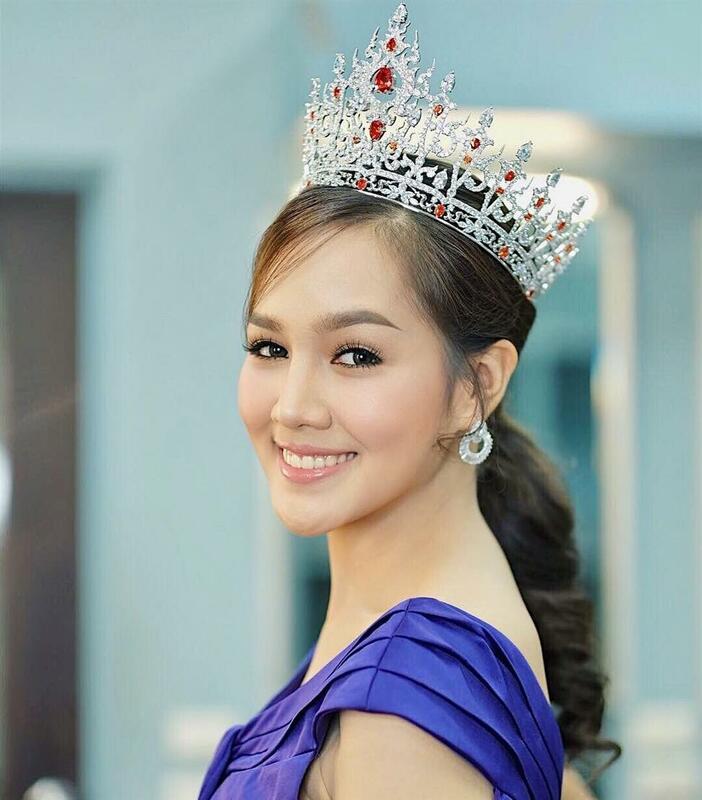 This young gorgeous beauty hails from Phitsanulok city in Thailand and is brought up there only. This beauty is going to represent her country Thailand in the finale. Apart from pageantry, this young beauty pursued International Relations, Faculty of Political Science at Chulalongkorn University and prior to this, she completed her schooling from chalermkwansatree school in her hometown itself. Talking about her career other than beauty pageants world, she commenced her career in the corporate sector when she first started working with Thai PBS in the year 2012. But currently, she is working with MFEC Public Company Limited. This is one of those beauties, who knows how to maintain a balance between their beauty and career and she does it with grace. Moreover, her talent speaks abundantly about her overall personality that she is pretty strong and is going to leave a benchmark for the other girls in the world. Kudos to such a confident diva! Angelopedia wishes her all the very best for the success ahead and hopes that she inspires other girls in the country through her achievements!